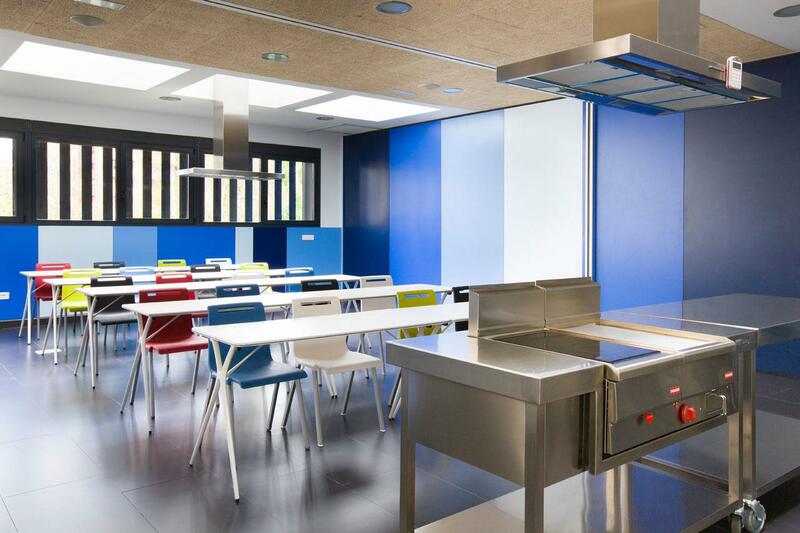 The National gastronomy has a new standard, where you can unleash innovation and culinary creativity. 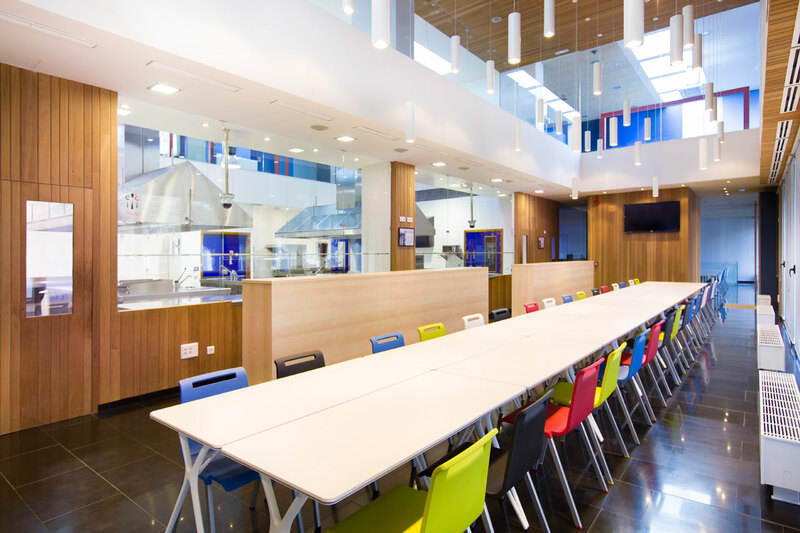 The Fernando Pérez International School, was set up with the objective of training future professionals from the catering industry. The result is an ambitious project, an initiative by the Chamber of Commerce and Industry, Valladolid and the efforts of the late president of the Federation of Hoteliers from the town Valladolid, Fernando Pérez, in whose name the centre was opened. 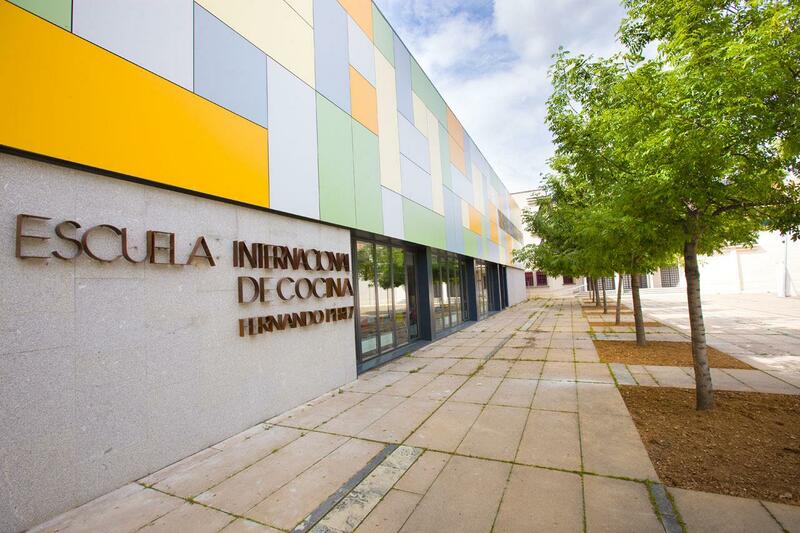 The International Cooking School (EIC) was designed by the architect Lorenzo Muñoz Vicente, under the LEED certification criteria. 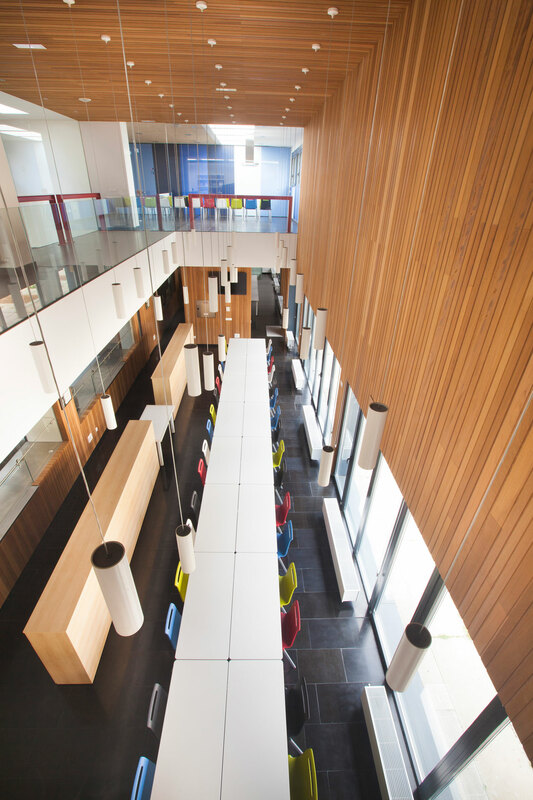 Its modern facilities enable comfortable and professional learning development. The distribution of space has been conceived so that there is a visual connection to all areas, achieving a high degree of efficiency. 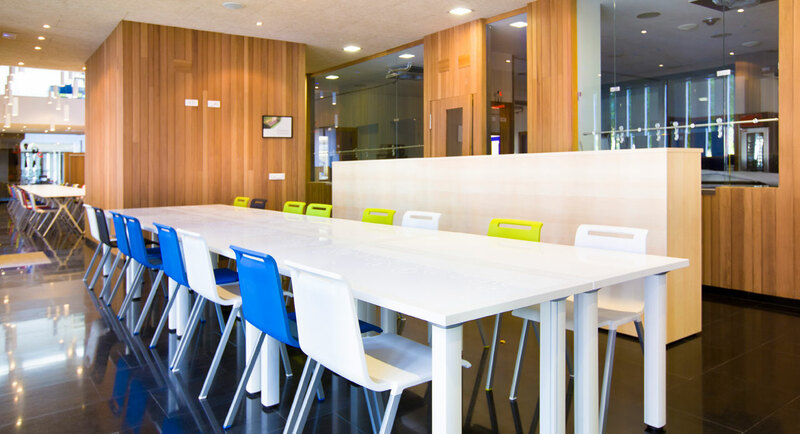 All work areas have been designed under the concept of open and light space, achieving areas that facilitate teamwork and communication. 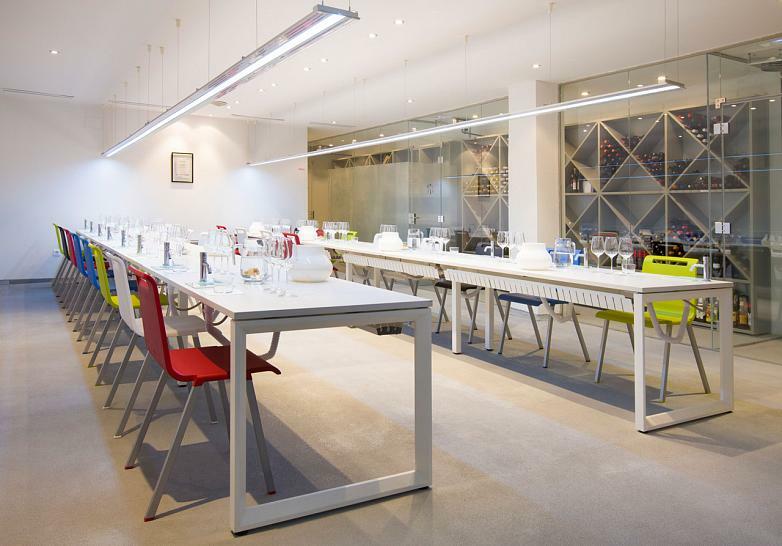 The school has two professional tasting rooms equipped to host official tastings and for which the table Vital Plus ST has been chosen, with a closed framed structure and white legs and with a wiring channel through the entire installation. 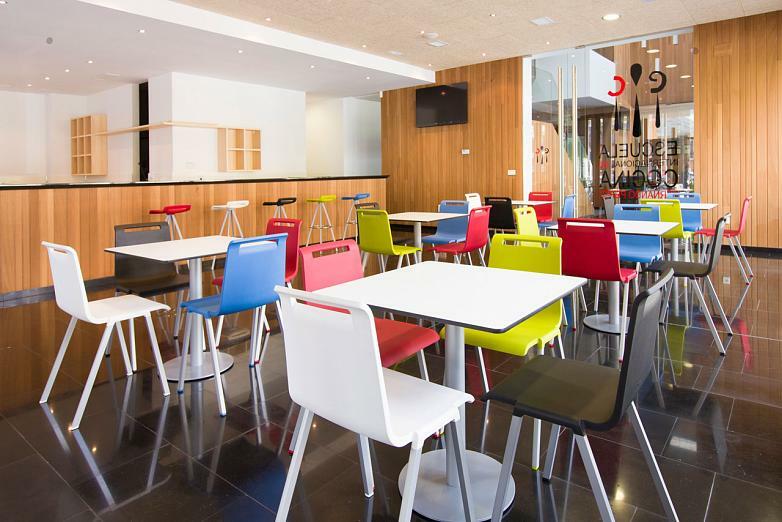 The model chair Mit adds colour to the composition with its wide colour range. The library has also been furnished with the model table Vital Plus ST and with five of the seven colours that Mit offers (red, blue, white, black and pistachio) with which have been distributed in all the rooms in the International Cooking School. The Library Class 20 provides rigorous technology and flexibility to be able to continue expanding the configuration, if necessary. In the cafe they decided to create a fresh and functional atmosphere with the canteen tables being white and squared made of phenolic and with a round metal base. Mit presents here one of its multiple versions; the Mit stool, with aluminized steel legs and a chrome rim. 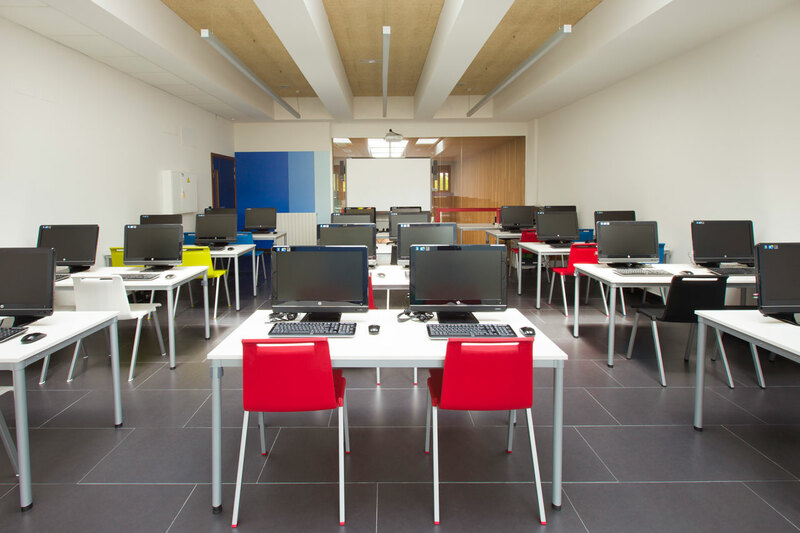 The simple lines and operability of the Dynamic desk fits perfectly into the computer room, with the capacity for 25 students. The mixed classrooms offer the possibility of carrying out demonstrations and presentations. The great adaptability of the folding desk Plek, with its high dynamic performance and aesthetics, enables it to be incorporated naturally to meet different needs in the environment. 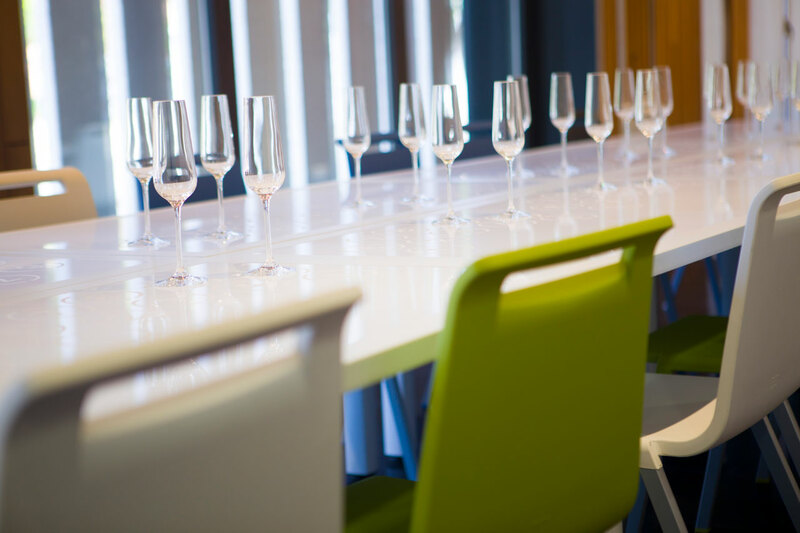 The classrooms in the EIC are equipped with the latest technology, to carry out courses, conferences, meetings, demonstrations, product presentations etc. 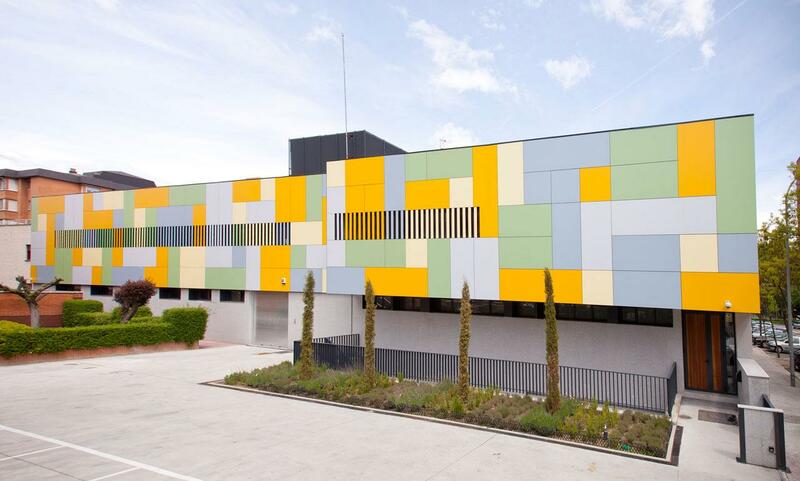 They have the capacity to host events involving the participation of 25 to 100 people. It has a pastries and chocolate room, a bakery, a preparation room and a spacious kitchen. 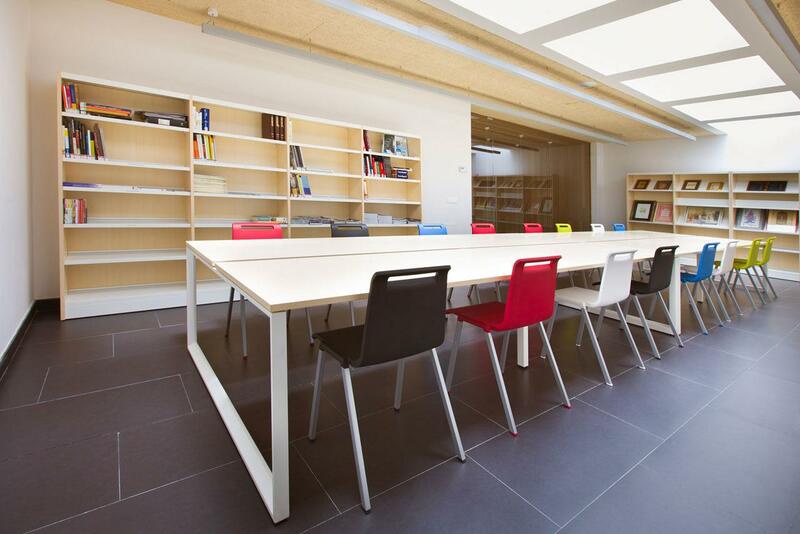 The program of Cool C500 desks enables multiple configurations to be carried out, combining the tops in the desired finish, with legs and levellers in the most suitable colour (white in this case). 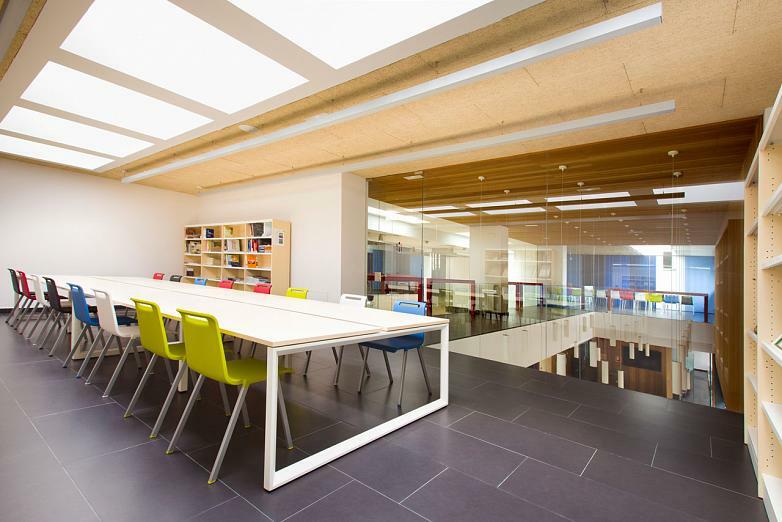 Interestingly, what stands out is the use carried out in this project by the Mit chair, in which they have combined its extensive colour range and its variety of models for a continued and dynamic vision throughout the whole centre. Listed as a universal chair, Mit reinvents a new style of chair with a capacity to integrate itself boldly into any current space. 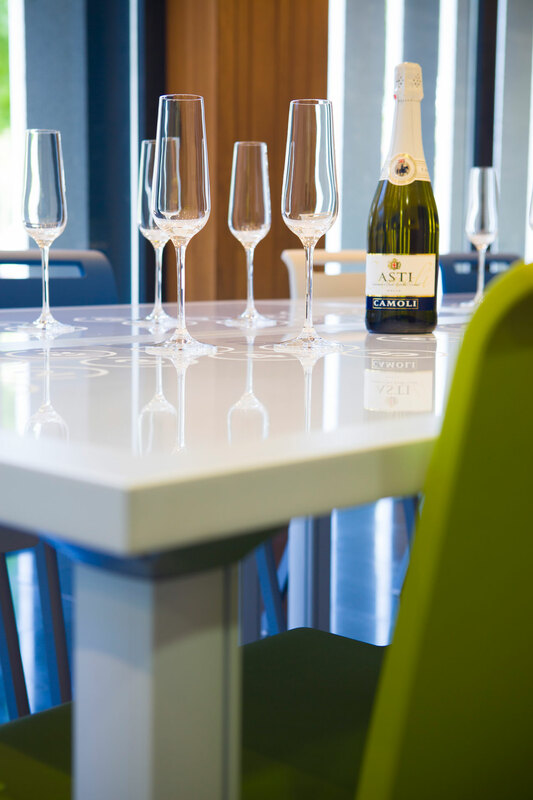 Slender and simple lines, made in one piece and where its shell, made entirely of flexible foam, provides comfort and performance for the users.